Panasonic Corp. is making bigger and bigger moves in the solar industry. The company already had a relationship with Tesla Motors as a battery partner, but will now is in discussions to manufacture its PV cells and modules at the big new SolarCity facility planned for Buffalo, N.Y., pending the Tesla/SolarCity merger becoming official, of course. Panasonic is already pushing out a nice solar installer training program with its own branded high efficiency modules, and working with SolarCity could obviously really ramp up its penetration in the U.S. Details from Panasonic: On Oct. 17, 2016, Panasonic has signed a non-binding letter of intent with Tesla to discuss about possible collaboration on the production of PV cells and modules for the North American market at a factory in Buffalo, New York, under the umbrella of Tesla. Panasonic will look at a collaboration that utilizes the strengths of both companies, creating a synergy between Panasonic’s technological and manufacturing expertise in PV cells and modules and Tesla’s strong sales capacity. Panasonic produces and sells its HIT PV modules with unique silicon heterojunction structure composed of crystalline silicon substrate and amorphous silicon layers. With industry-leading conversion efficiency and excellent temperature coefficient characteristics, Panasonic’s HIT achieves high power generation even in a limited space. Panasonic is one of the few vertically integrated PV manufacturers in the world, with in-house production of ingots, cells and modules to inverters, providing high-quality products. SolarCity, under pressure to secure additional funds prior, earlier this year delayed the opening of the Buffalo plant, pushing it back to about the second quarter of 2017, according to the Buffalo News. That’s raised concerns among both New York state officials and investors about the fate of the facility. “Panasonic’s support could mitigate, in our view, some of the capex required to launch the Buffalo facility,” Brian Johnson, an equity analyst for Barclays who has an “underweight” rating on Tesla shares, said in a research note today. We have a thin-film segment update coming in our Nov/Dec issue. Spoiler: there are some things happening there. 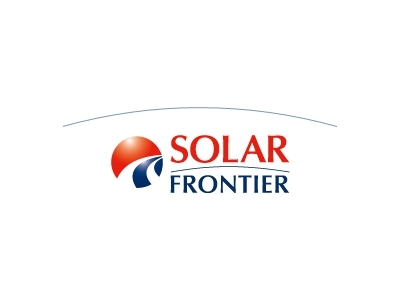 Case in point, Solar Frontier reports that the total cumulative shipments of its CIS thin-film solar panels have surpassed 4 GW, now reaching approximately 60 countries around the world. Some of the 11 new countries that have had approximately 1 GW of modules shipped over the last year include Norway, Somalia, and Mongolia. This accomplishment is the result of Solar Frontier’s CIS thin-film solar panels boasting the advantages of delivering outstanding power generation capabilities and economical and environmental advantages in real-working conditions – even in high temperatures or in partial shading – as well as having the “Made in Japan” seal of quality that domestic and overseas customers can place their trust in. Solar Frontier regularly receives high evaluations as a trustworthy supplier for its maintenance and management services. Sustaining this shipping has been Solar Frontier’s Kunitomi plant (with a nominal annual production capacity of 900MW) which started commercial production in 2011 and has been fully operational since then. At the same time, through Solar Frontier’s continual efforts to advance the performance of its panels, the Kunitomi Plant this month started manufacturing solar panels with an output of 175W as a main product. In November 2016 the 22nd session of the Conference of the Parties to the United Nations Framework Convention on Climate Change (COP22) will be held in Morocco, ahead of the Paris agreement coming into effect, and commitment to global climate change will attract even more attention. 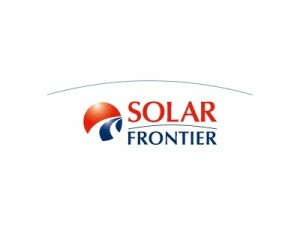 Solar Frontier, by delivering its CIS thin-film solar panels all over the world, will continue to contribute to the struggle against global warming. Maybe solar roofs really will be the next big thing. SolarCity aside, by developing existing ceramic roof tiles with integrated solar cells, Dutch company ZEP has presented the world’s first sun roof tile, making each roof suitable for generating solar energy. Although the first black solar roof tiles have been presented last year, another official launch of the patented invention takes place on Oct. 7, when chairman drs. 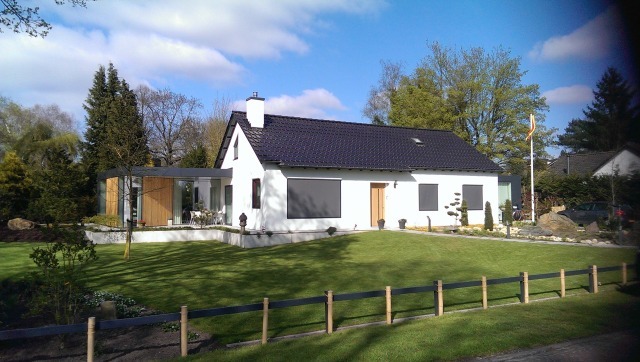 Maxime Verhagen of the Dutch Builders Association BN will reveal the world’s first black solar roof that’s installed on iconic townscape protected farm the Priesnitzhoeve build in 1870 in the Dutch town Rheden. In addition to the existing black tile, the world’s first natural red solar tile with natural red solar cell’s will be presented. The solar cells in these roof tiles are invisible, leaving the aesthetic character of any building intact. Often owners of monuments or iconic buildings are not allowed to install solar panels on their roofs, as it is prohibited by architecture supervision committees. Today, several committees in The Netherlands have approved the solar roof tile and ZEP expects the tile will be approved everywhere in the world. In addition, solar roof tiles offer a space-efficient solution when chimneys, dormers and skylights leave little room for solar panels. As a result the total covered surface can often produce more electricity than solar panels. ZEP will start exporting their solar tiles all over the world. “We have the patent and are the only company who may supply these tiles,” De Graaf says. The company is already involved in several projects in the UK, Germany and Scandinavia. In Denmark for instance, a lot of houses have a red roofs (officially named natural red), where solar panels are prohibited. With the development of the red sun roof tile ZEP believes they can now deliver a suitable and beneficial alternative in solar roof energy. 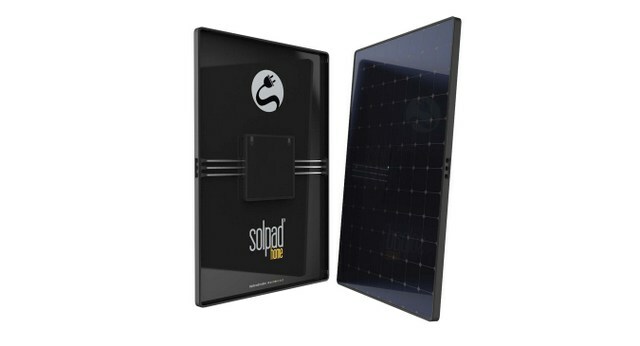 So, here is something different: SunCulture Solar Inc. has announced the launch of SolPad, which builds in a ton of technology at the panel level, potentially becoming the most advanced integrated-home or offgrid solar energy group of products out there. “SolPad revolutionizes personal energy by bringing together the sustainable smart home, solar and energy storage into a simple, gorgeous and integrated device,” said Christopher Estes, SolPad’s CEO and Chief Product Architect. SolPad Home combines solar and smart home components that have traditionally always been bought and installed separately. Due to this integration and elimination of parts, SolPad’s fully integrated product design approach reduces the total cost of installed solar and energy storage by up to 50 percent when compared with other existing product offerings, according to the company. “Labor and technical soft costs are the hardest problems to solve when it comes to integrating solar and storage with software. SolPad did an amazing job of inventing new technologies and packaging them in a way that is both consumer and installer friendly,” said Barry Cinnamon, CEO of Spice Solar and a longtime solar industry installer. Each SolPad Home panel, according to the company, is meant to operate like a smart-energy computer on your roof, with each device being its own energy powerhouse that is completely self-sufficient. Homeowners can start with one SolPad and easily add more with minimal installation time. SolPad Home panels store both solar and grid energy with forthcoming solid-state battery technology. This battery technology, SunCulture says, is safer than standard lithium-ion-based batteries and has a broader operating temperature range and longer life. Each SolPad device is equipped with its own “solar micro-storage,” or built-in battery storage at the panel level, and the solid-state low-voltage battery design is optimized for safe rooftop operation. SolPad’s flexgrid inverter is designed to seamlessly integrate with the built-in solid-state “solar micro-storage,” and this innovative combination allows SolPad to operate with electrically optimized power efficiency. SolPad’s flexgrid inverter can automatically detect when to charge from the sun or charge from the local utility grid, adjusting for cloudy or rainy days, as well as changing local electricity rates. Using local info gleaned from its GPS location, SolPad Home will switch to stored battery power during the most expensive daytime hours for that home, then switch back to grid power when rates are low. Flexgrid will also detect when there’s a power outage or blackout and safely disconnect itself from the grid. Once off the grid, SolPad automatically forms a personal solar micro-grid that will keep delivering power to specific lights and appliances. The SolPad panel connection is wire-free — a simple connector unit links all of the panels together instead, eliminating the need for any complicated cabling or wiring, simplifying the installation and greatly reducing cost and installation time. The high-level talk at any solar industry conference always gets back to changing a consumer’s relationship with their energy provide and management. The more this happens, the more ubiquitous solar becomes. SolPad Home sets a strong precedent for the sustainable smart home with its internet of things (IoT) energy management platform called SolControl that integrates solar generation and energy storage with automated energy management. SolControl’s user interface makes homeowners aware of when and how they are consuming energy. It puts cost-saving control into a gamified and easy-to-use smartphone application. SolControl also helps conserve electricity by autonomously learning usage habits and intuitively providing suggestions to further optimize power consumption. With SolControl, anyone can manage and control the distribution and delivery of their solar power to individual appliances, individual rooms or to the entire home, which has never been done before. SolControl provides a fun and immersive energy personalization experience that is completely unrivaled and that forms a new scalable product ecosystem that works with smartphones, tablets and desktop computers. Now users can be connected to their power at all times, from anywhere in the world. JinkoSolar (U.S.) Inc., in partnership with the Solar Energy Industries Association (SEIA) and a coalition of other solar companies, is launching the nation’s first PV recycling program, which includes a network of cost-effective recyclers that can responsibly dispose of decommissioned PV modules. While JinkoSolar modules are expected to last at least 25 years, PV system owners now have dedicated resources to help aid in responsible disposal of modules once they reach the end of their life cycle. JinkoSolar modules recently passed toxicity characteristic leaching procedure (TCLP) tests. Products that do not leach toxic materials at levels exceeding regulatory limits are termed TCLP compliant. 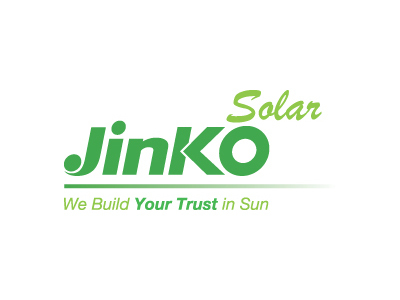 TCLP compliant JinkoSolar modules will give system owners more time and flexibility to dispose of the modules.